We've just released the Raven Demon Wings for those of you who prefer a dark and gory style for your characters. Check out the video below or click here to get yours! Decorated with pieces of flesh and moving tentacles, these twisted wings a perfect match with the Doomguard Armour Set. 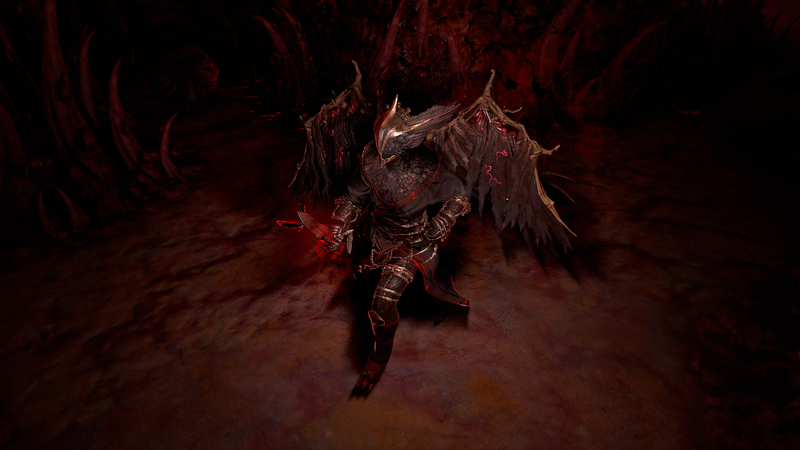 Alternatively, you can try out the Raven Demon Wings with the Raven Armour Set, Ultimate Chaos Character Effect and the Ultimate Chaos Weapon Effect. edit: the wings are pretty nice though. Release the Viper, or Gargoyle set this week! Why do wings like this and others always move in a loop one specific way no matter what the char is doing? World’s first real casual to reach ethical 100 without Pure Cheatstones. PoE is the Lawful Evil Paladin in the gaming party. Currently playing: For Honor, Smite, Fate Grand/Order, Grim Dawn, Last Epoch, a wee bit of Wolcen.